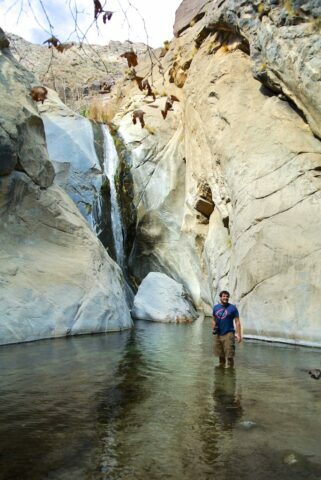 Even after the dry last two years, you can still get out on the trail and see some of the awesome Southern California waterfalls. 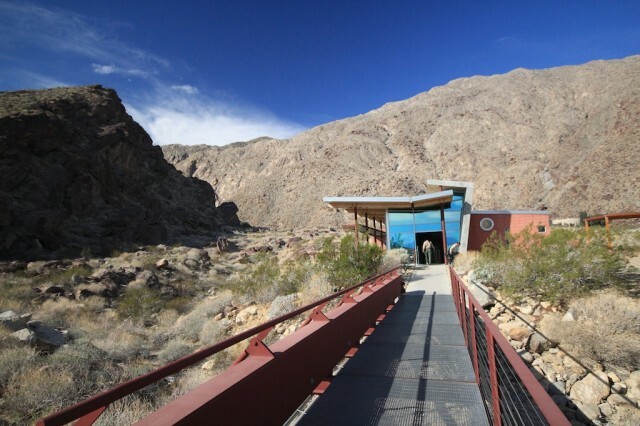 A perfect example of that is this 50-foot beauty located on the south end of Palm Springs. Even with an admission cost (yep, there is a cost) this waterfall is worth seeing. 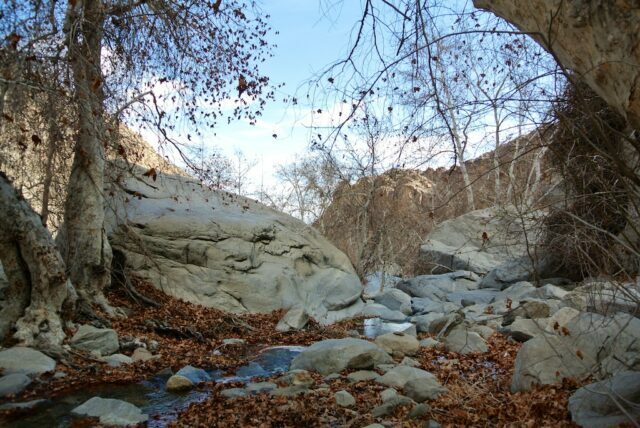 Owned by the Agua Caliente Band of the Cahuilla Indians this canyon was only transformed into what it is now in the last couple decades. 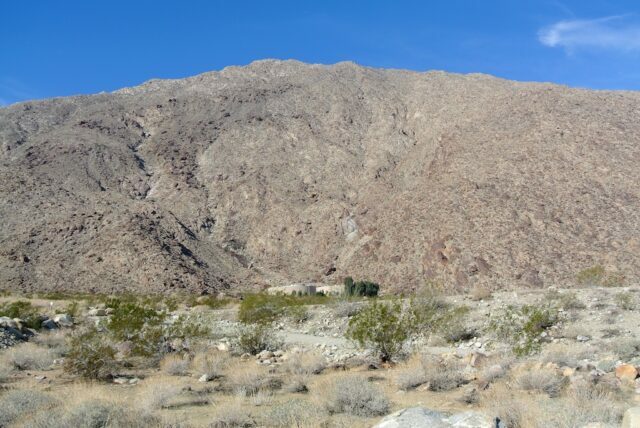 Prior to that, it was a popular place for homeless to congregate around Palm Springs due to the beautiful area and its location to water. 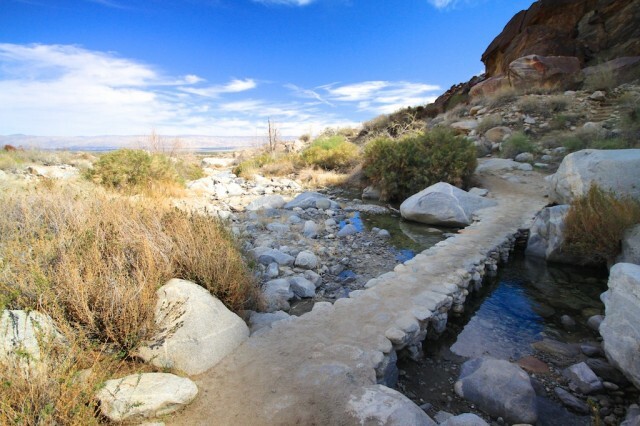 When the Agua Caliente Band of the Cahuilla Indians decided to clean up the area, they closed it to public use and instituted the charge that is now required to hike on the land. I go back and forth in my mind with how I feel about a 12 dollar charge for a 2-mile hike; however, based on the graffiti and disregard so commonly found in the other Southern California waterfalls. I guess I have to agree that blocking the land and charging money does allow it to be maintained a lot better and preserve the history of the area; thus removing the opportunity for the damage that many of the other hikes I have visited have. When you pay your fee, you have the option of waiting for a guided tour or going it alone, which is what I did. 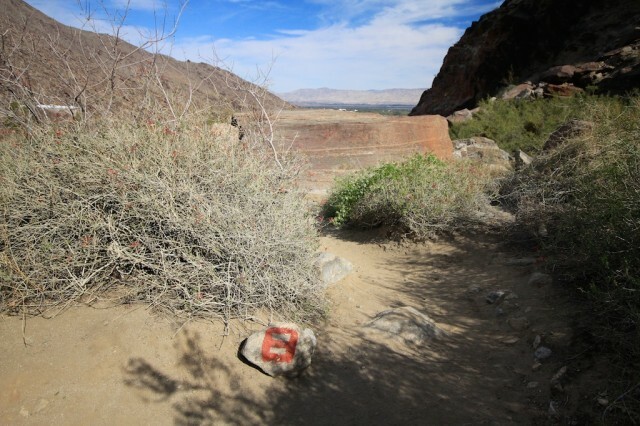 The trail itself starts north of the small tribal area with its souvenirs and bathrooms and proceeds at a leisurely incline up into the canyon. The map they give you has eight different points of interest, and they are easily marked along the trail for you to see. The couple that I found the most interesting was the sizeable sacred rock that they have found lots of paintings on and the remains of the old water lines. 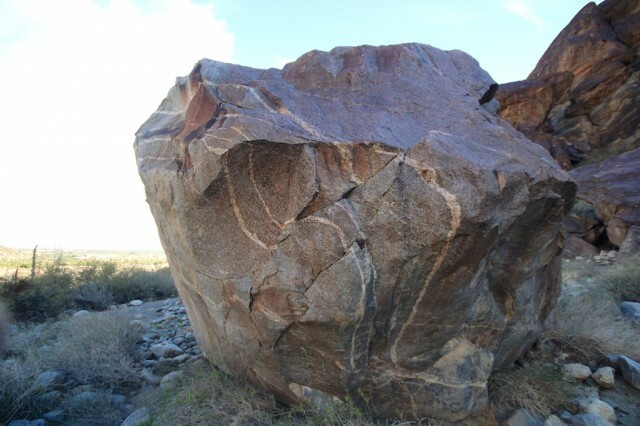 The picture of the sacred rock does not do it justice; this thing is massive in real life. The trail has a couple of water crossings which have nice little bridges built across them; this shows how well the overall path is maintained. 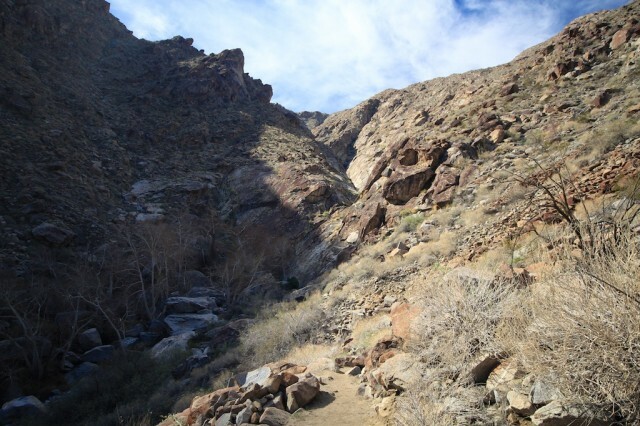 As you reach about 3/4ths of a mile in, the trail will start to get its 300 feet of incline through a series of rock steps that are cut into the canyon side. 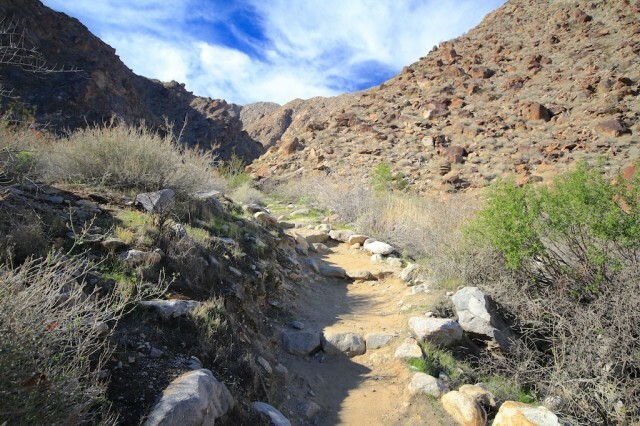 This should not be difficult for most people though and provides a small work out on this leisurely hike. 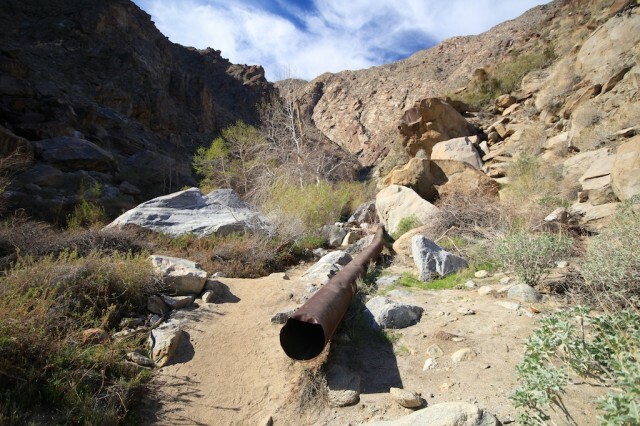 During this part of the trail, you will see the runoff area which contains another small 5-foot waterfall that is part of the water control area. I enjoyed checking this out, and even though it is man-made, it is still pretty. 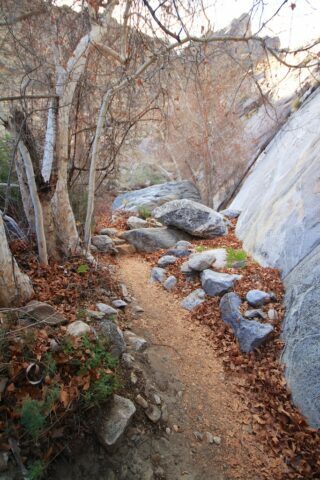 Continue along the steps until you reach the base of Tahquitz Falls. When you see this 50-foot waterfall, you will be immediately impressed. For Southern California, I would say this is one of the better waterfalls in the area. 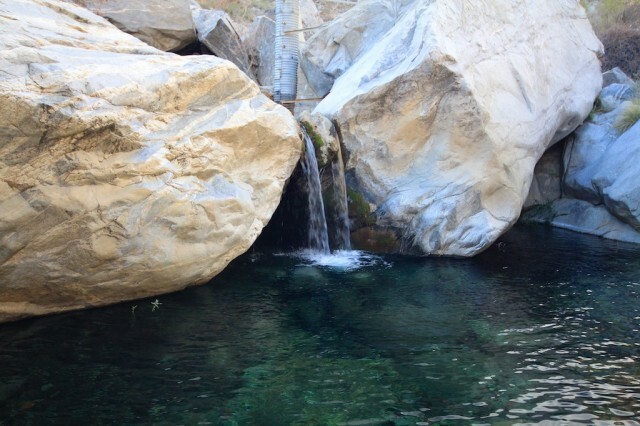 It falls beautifully over the rock face and down into a deep pool. The pool also has a large rock that you can swim out to and climb on if you feel so inclined. I waded out into the water till it was up to my knees and I saw another man go all the way out to the rock. If you want to get there, you will be in water up to your chest, and the rock itself looked pretty hard to pull yourself up. I was content with just wading into the water cause it was freezing cold! The trail we continued onto was beautiful as well; it had the look of fall with lots of pretty leaves and foliage, I enjoyed just sitting and relaxing here while taking in the waterfall. After taking a bunch of pictures we started the loop back, completing about 2 miles and over 350 feet of elevation. The way back provides some beautiful views of the canyon with the city in the background. A good example of this is the rock the Indians called Lookout Rock seen below. Like I said before, it feels weird to pay 12 dollars for a 2 mile hike, that being said I doubt you will be disappointed with your decision. 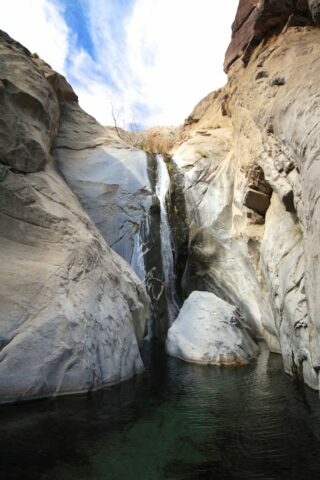 It is a unique canyon and a beautiful waterfall, just make sure you call ahead if you go in the summer. I imagine that to be pretty hot and if the water is not flowing through the falls then it would not be worth the price of admission.